The Land and Titles Court has issued a response to a Parliament-ordered Commission of Inquiry to investigate the work of its Judges. The response is signed by the Chief Justice, His Honour Patu Tiava’asu’e Falefatu Sapolu and the President of the Land and Titles Court, Fepulea’i Attila Ropati. It was tabled in Parliament last week. A copy of the response has been obtained by the Sunday Samoan. “We apologise for not appearing as called before the Committee but we were mindful that we would have our day in Parliament when this reply is submitted as we do maintain our respect for the institution of Parliament,” the conclusion of the report reads. The report was the subject of a Ministerial statement by Prime Minister Tuilaepa Sa’ilele Malielegaoi on Tuesday when Parliament reconvened for the first time this year. 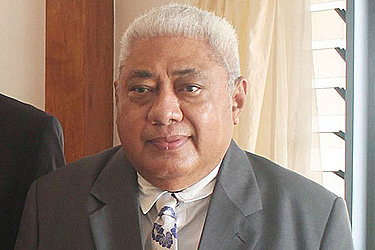 Prime Minister Tuilaepa criticised the decision by the Land and Titles Court to abstain. The Inquiry was headed by Member of Parliament and Chairman, Lopao’o Natanielu Mua. 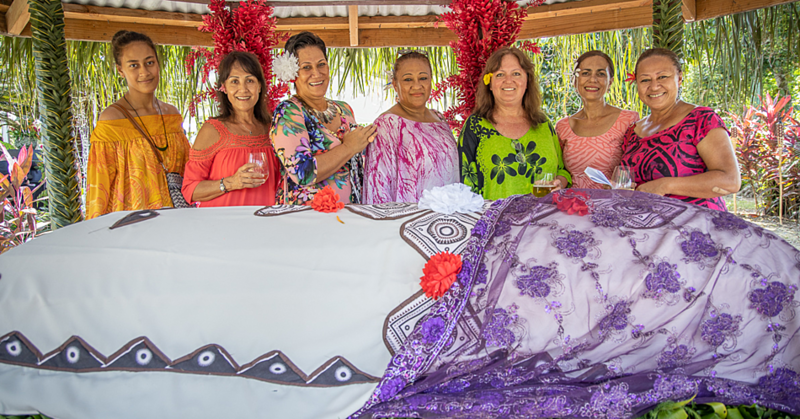 Deputy Speaker of Parliament, Nafoitoa Talaimanu Keti was the Vice Chairman with members including Lauofo Fonotoe Meredith, Ali’imalemanu Alofa Tuuau, Ili Setefano Ta’ateo, Faaulusau Rosa Stowers and Faumuina Wayne Fong. In the end, the Commission went ahead and opened the opportunity to members of the public to express their opinions about the performance of the Court. The Panel received 45 written submissions. More than 150 people delivered verbal submissions. The Commission is also calling for a legal time frame on decisions. For instance, a verbal ruling on all Court matters must be delivered within three days when the hearing ends. Written rulings are urged to be delivered within seven days from the end of a matter. The Inquiry recommended ways to address questions of bias and abuse. This includes a recommendation to stop the practice of Judges accepting food, gifts and other material things from parties during inspection visits. Parliament was also asked to look into Rules and Procedures for all Judges to follow in the conduct of their duties. In relation to the question of adjournments, the Inquiry recommends a period of no more than 6 months if a matter must be adjourned. Gratitude is extended to Government for the initiative that resulted in the appointment of the Parliamentary Commission of Inquiry ("the Committee") which sought to identify ways to “recommend improvements to processes and procedures at the Lands and Titles Court.” We also commend the Commission Members and their assistants as well as members of the public who were able to contribute to this extensive inquiry. This is an important undertaking to accord priority to the Land and Titles Court as it affects all Samoans today and future generations. This initiative from the Executive and Parliament is highly appropriate. The Judiciary also wishes the same for this very important Court and the challenges it faces as well as according priority to its role in Safeguarding the heritage of all Samoans that is in their lands and titles. Clarification: We would like to clarify the position of the Judiciary in its decision not to participate in the Commission's inquiry as requested and as has been widely reported in the mainstream media. We were weary of criticisms and queries over Court decisions that may inevitably arise over the course of the Commission's hearings. It is our belief that the Court is not answerable to anyone over its judgements. Our concern was over the independence of these judgements as they are the result of either unanimous decisions of a panel of judges or a majority decision of a panel of judges and not a decision of one judge alone. The current process avails many statutory options for redress if parties feel aggrieved by decisions - parties may appeal decisions of the LTC and if they are still dissatisfied there is the option of a judicial review with the Supreme Court and then finally with the Court of Appeal. RECOMMENDATION 1: Officially recognise the Judicial Privilege of the LTC which handles matters on our customary land and titles to be consistent with the recognition awarded the Supreme Court. This is an important recommendation but detailed steps of implementation must be in place as the 2 courts operate differently. The reason for according both Courts the same priority must be clarified first - if it is due to resources not being evenly distributed then the first phase should be to accord Judges of the LTC the same salaries and offices plus other entitlements as Supreme Court judges if there are enough funds. RECOMMENDATION 2: Appointment of Deputy Presidents This is important as there is an increase in applications for leave to appeal of the decisions of the Court of First instance. There are a lot of appeal cases and there are also cases where the President has conflicts of interest as well as urgency requests from the public that need immediate addressing. This recommendation is highly supported for implementation in the next Financial Year. This recommendation may be difficult to Implement as some cases are complex and require lengthy deliberations or there is evidence yet to be submitted by an agency or other entity. Judges may also be facing a heavy work load that may result in delays. If this time period is legislated for then it may result in rushed judgements. We also have reservations over this recommendation as there are cases that are complex. Matters such as determining the authority over a title is highly contentious and requires extensive review of genealogies, history and evidence submitted against court records. We suggest 3 months as a guiding principle in the Court Rules and the discretionary opportunity for leave for extension to be granted to a Judge by the President in the submission of a written judgement based on exemplary grounds. The cases that were previously heard in the Court of Appeal by judges who are no longer sewing in the courts will be accorded priority. Court of Appeal so this should never occur. We have no record of such a case unless it's a case where the Court of Appeal overturned a decision of the court of First Instance. Accusations against judges are referred to the Judicial Services Commission unless they are not referred then the JSC will not be aware of such accusations. If a party feels that there has been dishonesty, corruption, or injustice on the pan of a judge in the court of first instance then they may lodge an appeal. Additionally, if they feel the same with the Court of Appeal outcome, they are free to seek a judicial review in the Supreme Court under Articles 4 and 9 of the constitution. Traditional gifts offered to judges during field visits are no longer allowed or accepted. The judges are given allowances for food during lengthy inspections. it should be a criminal offence for parties or any person to offer traditional gifts as a deterrent as the judges are not inviting such practice. The recommendation for usage of maps (mapinfo) is noted but there are still cases where field visits for determination of boundaries is still required. The compilation of Court Rules for the LTC is a work currently in process. The LTC schedule and adjournments are based on its Savali notices - final dates are based on requests from parties particularly those coming in from overseas. This is important particularly to deter adjournments. There is currently a $500 adjournment fee but there should be a provision in the Rules for a discretionary power to impose some financial compensation to other parties for inconvenience. However, it should still be noted that there are unavoidable circumstances that affect all such as untimely death that should be exempted from this fee. The Court needs to be informed of such exceptions as soon as possible so other parties are pre warned of an adjournment. Government should also consider the impact of official trips overseas for those holding high offices who use these trips as grounds to adjourn their family court cases. There is now a requirement where there must be two other party leaders who must reside in Samoa so as to lessen the inconvenience of these adjournments for all. Possible exemptions would be holders of ‘sao’ titles in Cabinet but all other official trips would be subject to the payment of the fee as recommended by the Commission as other office holders can always be substituted in their official capacities for these trips. RECOMMENDATION 10: Judges Conflict of Interest It is difficult to legislate what constitutes ‘conflicts of interests’ particularly the limited time in which to determine it. Current practice is that the Registrar distributes a list of cases to all judges in advance so they may declare their conflicts of interest if any beforehand so that the sitting schedule can be altered in light of any claims. This works in a way but there is always the chance of a conflict only becoming evident on the day of the case when a witness that is not named in the files gives evidence and a sitting judge suddenly finds that he is indeed in a conflicted position. RECOMMENDATION 11: Declared conflict of interest This is the case at present. Guidelines are now in place and refresher trainings are being done for the judges. RECOMMENDATION 12: Judges connection to cases There is now a policy in place where judges are not allowed to lead a party in court. However for cases where they are directly involved such as matters where a title they may hold is being petitioned for revocation, banishment from a village, location of residence disputes pertaining to a judge then there is that discretion where he may be permitted to appear in court. RECOMMENDATION 13: Judicial Services Commission & Special Advisory Committee for LTC An amendment to the Act as recommended is supported for the establishment of a Judicial Services Commission for the LTC to comprise of the Chief Justice, President of the LTC and the Attorney General. This entity can review complaints lodged against judges to be determined by the President who shall have the authority to review and address complaints without referral to this entity should he determine it trivial. The President shall have the discretion to refer complaints to either the Chief Justice or the Commission as he sees fit. A special committee is not necessary as the only issue is administrative matters for the LTC - other matters are deliberated in Court. Additional Committees and Commissions will only elevate the workload for members when they are already busy and may result in duplication of duties if the functions become unclear. A similar special committee was established around the 19905 and they were responsible for interviewing applicants for judge positions. They received complaints over this as some felt it was the duty of the Judicial Services Commission to conduct selection of judges particularly as the Chief Justice was also the President of the Lands and Titles Court at the time. Eventually this function reverted to the JSC on the logic that no one understands the nature of the work of judges like judges themselves. It is important for potential judges to be actively involved in their respective village affairs. However, for the age restriction it is important to he flexible as some people make the best judgements at 70 years of age whilst some at S0 years already show signs of inconsistency. There is also concern over periodic appointments of judges as it may influence independence - judges should never be made to feel compromised when they near the time of expiry for their appointments. In line with the recommendation to have equal parity with their Supreme Court counterparts, the conditions of appointment should therefore also be the same whilst the monitoring of performance be left to the new JSC as recommended. Judges of the LTC need wisdom to discern the various arguments by parties in order to reach a fair and just decision. Integrity, hard work and legal knowledge is essential but the overriding criterion is wisdom in culture and tradition particularly of everyday life in the villages. The latter being of utmost importance as legal qualifications are of no use to this Court without cultural wisdom. This is important but a proper framework to implement it needs to be reviewed. First, the definition of what constitutes ‘errors and omissions’ need to be spelt out as it is too general. Second, it is unethical for the President to review his own decisions. Thirdly, it will increase the Presidents workload as it is difficult to review decisions made previously with times to lodge appeals already lapsed. There are 2 parts to the recommendation - first, petition the Supreme Court for judicial review and for all parties to past cases present. Alternatively, the Land and Titles Act 1981 be amended to allow for a Supreme Court judge with LTC experience to conduct the review within the framework of the LTC where lawyers are not required except for parties to disputed cases. This is preferable as it is less costly for parties and the actual decision is reviewed whereas the judicial review process in the Supreme Court is expensive and is confined only to reviewing if the rights protected in the Constitution are breached. There are Supreme Court justices nearing retirement who have vast experience in judicial review that can be utilised for reviewing disputed decisions in the LTC setting. It is important to have another avenue to address disputed decisions or decisions made in error. RECOMMENDATION 16: Judicial Review RESPONSE: Every application for a judicial review filed against a ruling of the Court of Appeal of the LTC that breaches any fundamental rights and freedoms stated under the Constitution are to be referred to the Supreme Court because it is their sole duty to interpret the Constitution. There is an additional opportunity to file an application to the Court of Appeal if they are not satisfied with the judicial review procedure by the Supreme Court. Based on these grounds, it is not right to remove the jurisdiction of the Supreme Court from conducting judicial review because it is inherent to the Supreme Court. RECOMMENDATION 17: Mediation. RESPONSE: Deputy Registrars conducting mediations were trained under an educational programme conducted by mediators from the Federal Court of Australia and a Professor of Law. There is also another educational programme for mediators scheduled for April and will be conducted by Judge Kandakasi of PNG. Conducting mediations on the day of the hearing is impractical because the court hearing may delayed due to a delayed decision from mediation where parties may not show up, which is why the Current process is seen to be more effective because it gives parties enough time to consider an investigation before a resolution from mediation can be made. RECOMMENDATION 18: Written submissions RESPONSE: The Registrar has already submitted a public notice on the subject matter but it should be three working days from the day of the investigation to avoid suspicion if written submissions are lodged early. RECOMMENDATION 19: Leader of Party to Proceedings RESPONSE: The Registrar has already issued a public notice which states that for every Party to a case there should be an identified Leader and two assistants who should reside permanently in Samoa. RECOMMENDATION 20: Forms RESPONSE: The Registrar will take the matter into consideration. RECOMMENDATION 21: Bestowment Registration Forms RESPONSE: This recommendation is very significant because there are those who have travelled overseas to conduct bestowment ceremonies there. There have been cases that were discussed well after the fact. Not only this, there are ceremonies that have allowed for proxies to accept titles on behalf of others. It is noted that these illegal practices are on the rise and village representatives seem to be at the fore. RECOMMENDATION 22: Family High Chief (Sa’o) RESPONSE: There is a provision in the law which provides for the right of a Sao or heirs to remove a title from anyone but there is no clear provision on service (monotaga). The recommendation to limit holders of Sa'o titles to 5x is commendable yet there are other matters to be considered as not all titles are equal with respect to the lineages that have rights to it. There should be discretionary powers to determine the numbers on a case by case basis. RESPONSE: The Registrar will take the matter into consideration. RESPONSE: Since 1922, several workshops were held to train Judges of the land and Titles Court such as the PJEP (Pacific Judicial Educational Programme) and PJDP (Pacific Judicial Development Programme). In addition, the former President also conducted several programs where Judges travelled overseas to expand their judicial knowledge. In addition, there are consultations scheduled for the 26th – 27th of January 2017 to revise guidelines and to allocate matters of first priority which means that the LTC is continuously working on Improving its service. RESPONSE: The recommendation is noted. The Ministry has moved to advertise its sitting schedules and other notices in the Palemene Newspaper. Additionally, an application will be submitted to the Public Service Commission and the Ministry of Finance to grant IT specialist at an ACEO level to work on creating a website for the Ministry so that all court matters are to be updated and should be found on the website dally. RECOMMENDATION 26: Research Division for the LTC. RESPONSE: The recommendation is very important because it is a must to submit a well prepared report in a timely manner to Judges before consideration of any matter. The President also needs a full report which includes all information possible for appeal cases daily. A submission has been forwarded to the Public Service Commission and we are awaiting a response. RESPONSE: Audio Recorders have already been installed in both Mulinuu and Tuasivi. RESPONSE: We strongly support the recommendation. Consultations are currently in the pipeline to discuss building a new Court office in Salelologa. RESPONSE: The Registrar will negotiate with the Ministry of Finance to initiate such 3 project. RECOMMENDATION 30: Consultation Rooms RESPONSE: The recommendation is very important because with the current set up, other parties can overhear what others are discussing. This is why this recommendation is of great use because there is a need for (a] separate room(s) and the need for a bigger Court precinct for the LTC alone. As it currently stands, there are only 4 court rooms at Mulinuu, the fact ls, if the Court of First instance and the Court of Appeal sit at the same time, there is no room available for mediations and for most vital matters pertaining to high chief titles, current rooms cannot accommodate for those matters. If possible, mediation can be done within any government building available such as the old building where the old Court house was and build two appropriate rooms in it for mediation purposes and if conflict ever ensues from such mediation, the Police Office is in close proximity. Other Recommendations: Recommendation A: The LTC should recognize the support of Consultants. RESPONSE: The Court does not interfere with the services offered by consultants to parties in terms of written submissions and we are uncertain about a reason for prioritizing them as they are business people. For Information purposes, written submissions prepared by such consultants are too lengthy and contain excess details that are not relevant to cases. They are lengthy to justify the expensive costs and this only benefits the consultant whilst the families are burdened with payment and judges struggle with reading through the nonsense. Recommendation B: All matters pertaining to Land and Titles in Savaii should be conducted at the Court House in Tuasivi. RESPONSE: This is not a new issue but there are some parties who requested for their matters to be heard at Mulinuu because most of those involved live in Upolu. 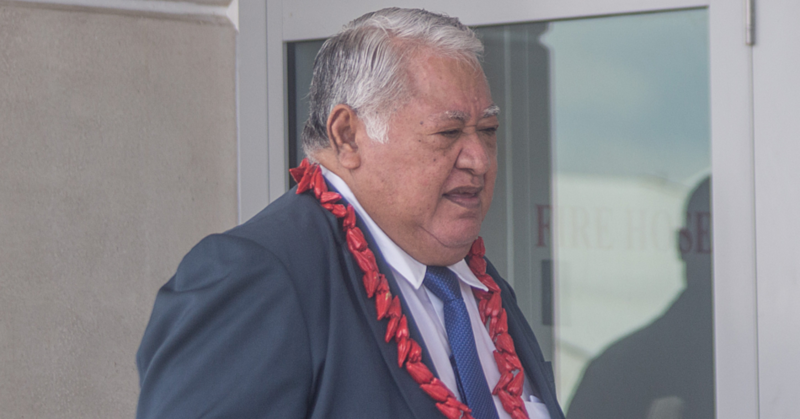 The main obstacle is that the Ministry does not have funding to pay for the President to travel to Savaii to hold hearings there - there is insufficient funding for transportation, accommodation and related costs of hearing appeals at Tuasivi. 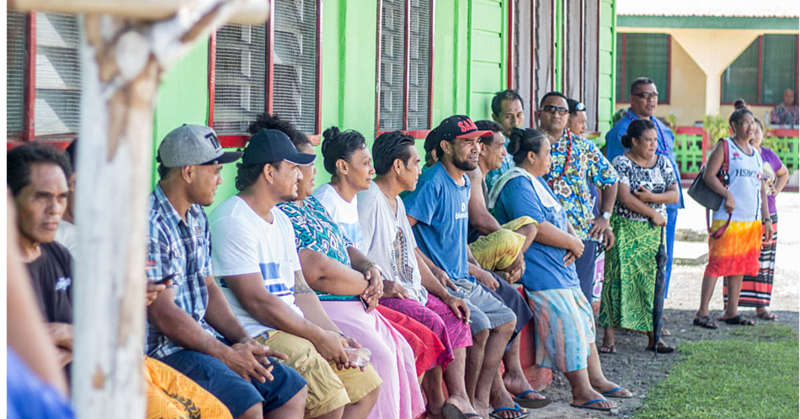 There are 2 ways to address this and that is to approve construction of a proper residence for judges at Savaii or inject sufficient funding in the next financial year’s budget to support related costs of holding hearings at Tuasivi. Recommendations from the Judiciary: To change the usage of the dentition ‘Samoan Judge’ that is currently used within the Law to just ‘Judge of the Land and Titles Court’ because it is a remnant of colonial times when there were European Judges presiding. As of today, all Judges of LTC, Supreme Court and District Court are Samoans. Conclusion: That concludes the reply from the Judiciary on the recommendations as per motion approved by the House with our firm belief that we have addressed all issues of concern. We apologise for not appearing as called before the Committee but we were mindful that we would have our day in Parliament when this reply is submitted as we do maintain our respect for the institution of Parliament. We reiterate our gratitude because despite any perceived differences that have arisen during the course of this matter the initiative to improve processes for the betterment of the country is paramount in all of our efforts. It is our fervent hope that the Lands and Titles Court will receive much needed support and assistance as a result of this great endeavour. May the Lord richly bless you, Honourable Speaker of the House, Leader of the House, Members of Parliament and staff.